I'm pretty sure you all know I love a good party, nothing inspires me more than seeing what other people come up with for birthdays. Every Wednesday you can now plan to find a "brilliant birthday bash", some from readers, some from me and some from other bloggers. I'm hoping Wednesdays can become a source of inspiration for you, as I know it will be for me. And of course, the invitation still stands... if you've thrown a fabulous bash of your own, I'd love to hear from you and feature it on T+T. Hello. I'm Amy from dailygnome. First, a big thank you to Brittany for the opportunity to be a guest blogger here on T&T. 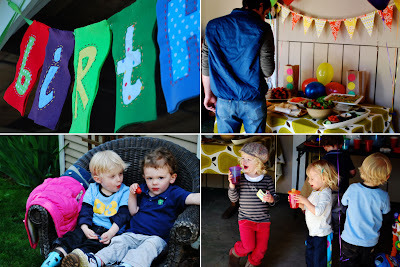 When my son turned three there was no question what the theme would be for his party. The boy lived and breathed all things cars. 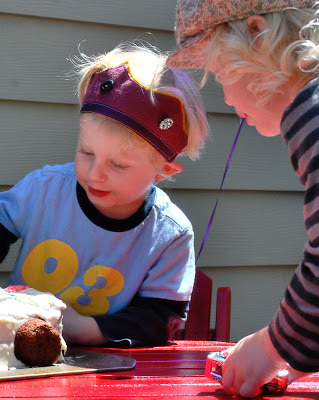 He had just three requests: a chocolate cake, the theme from Cars included on the iPod mix and his best friends celebrating in the backyard. The rest was up to me. 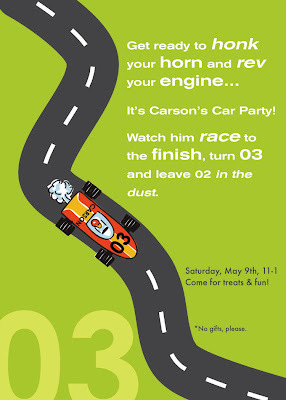 The highlight of the party was a race car game I put together for the kids. They pretended to be cars and raced around to various "pit stops." At each stop they received a small prize (like a hot wheels car) and the clue to their next pit stop. To collect the prizes I made simple stoplight bags out of brown lunch bags and construction paper. I found these car cookie cutters from an online shop that specializes in every cookie cutter shape imaginable. 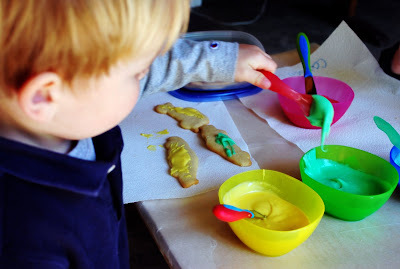 During the party the kids frosted the cookies and took leftovers home in their goodie bags. The chocolate car cake. 100% my husband's creation. 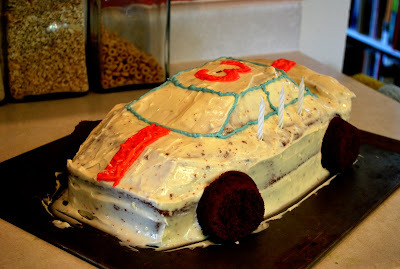 He baked two sheet cakes, stacked them, carved out the shape of the car and used four cupcakes for the wheels. 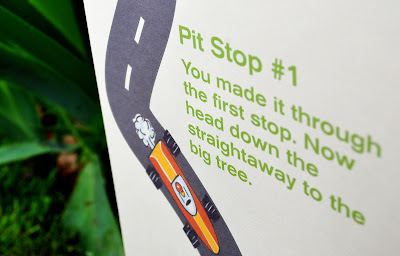 i love the pit stop idea! so fun for the kids. thanks for sharing. Such a great idea Amy- good job to your husband for that cake... that is so surprising that a man would know how to do that. Well, I guess I'm just comparing to my hubby. He wouldn't have a clue or idea to do that. What a great party. Thanks for sharing. What an awesome party! I love the cake. My husband is the cake master at our house too. cute. might also have been fun to paint little wooden cars, or do cupcakes frosted like a road (chocolate and white) with little cars on top. I'm totally intimidated by elaborate cakes! 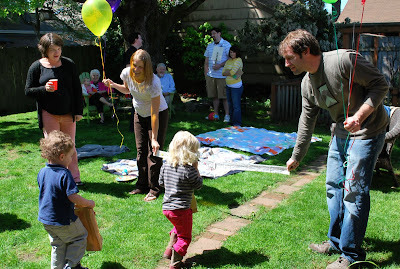 I always need help when it comes to throwing a birthday party. Thanks!